Analysis: Harry Potter | Expecto Patronum! The Mighty Hogwarts Power Trios… Face Off! In this corner (of Harry’s train compartment), we have Team Snake. In the other corner, we have… Team Gryff? When Draco bursts into Harry’s compartment with his cohorts Crabbe and Goyle, we are given our official introduction to Slytherin’s future “shadow Trio.” These boys know each other already, though we we have to get a little deeper into the story to find out how. As it happens, Malfoy, Crabbe, and Goyle are the sons of Death Eaters who all apparently avoided imprisonment in Azkaban at the end of the First Wizarding War. Physically at least, they seem to be more than a match for Harry and Ron, yet when things turn nasty after Harry rebuffs Draco’s offer of “guidance,” the future Gryffindors stand up to these much larger future Slytherins. Just like a good Gryff should. 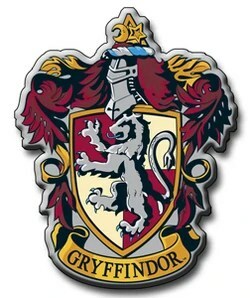 But unlike the Slyther-friends, there is no such cohesiveness on Team Gryff (“Team Lion” doesn’t sound quite as good). These kids barely know each other, and so our future main Trio is currently in disarray. But they remind me of something… my “gutty little Bruins” from UCLA, where I attended Grad School. You know about teams like this, right? Statistically speaking, they don’t come close to matching up with the opposing team, and nobody would ever pick them in fantasy sports. They’re smaller than their rivals. They don’t have as much money. They often seem to have less talent. But they play with lots of heart, and they appear fearless, regardless of the odds. That would be our Gryffindors. Harry: A Half-Blood Wizard boy raised in a Muggle family. For the first time in his life, Harry is confronted with the fact that he’s famous and people are expecting “great things” of him. But he has spent his life bullied by his cousin and treated like a slave by his aunt and uncle. He fears that the kids raised in Wizarding families will know loads more magic than he does. And worse, he worries that maybe there’s been some horrible mistake and that no House at Hogwarts will have him. Ron: A Pureblood Wizard boy raised in a very large family. As the sixth child, Ron doesn’t even have a new wand or pet. In fact, when he tries to perform “magic” on his hand-me-down pet rat, we find that a unicorn hair is sticking out of his wand. Though he’s not famous like Harry, he still has a lot to live up to. His older brothers have excelled at Hogwarts. Among them are Quidditch players, Prefects, and even a Head Boy. Neville: A Pureblood Wizard boy who seems completely hapless and hopeless. On the train, he’s lost his toad. In the future, he will forget his password (and everything else that isn’t tied down), botch Potions, be nearly incapable of producing any magic, and just generally embarrass the proud Gryffindor heritage. But Neville has a secret, and that secret is most likely the key to his magic problems. I have to confess, I thought Neville was just comic relief when I first got to know him. But of all the kids, his transformation is possibly the most beautiful. This boy is a true and worthy Gryffindor. But right now? It’s all hidden. You would never know. And that’s pretty much the way with Team Gryff. Like the gutty little Bruins, these kids don’t look like much. But you underestimate them at your own peril! In the first matchup, by the way, Team Gryff wins on a Deus ex Machina. 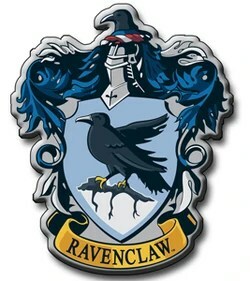 Ron’s pet rat bites Goyle on the knuckle when he and Crabbe try to use their intimidating size to dig in to Harry’s and Ron’s Chocolate Frogs. Whatever possessed the (former Gryffindor, current Death Eater in hiding) rat to bite, I guess we’ll never know. But I’d love to hear your thoughts. Speaking of which… I’ve seen the site stats. I know you’re out there. But man, are you quiet! 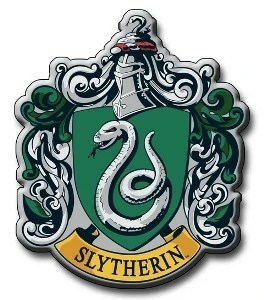 There are lots of Slytherin fans in Potter fandom, and lots of fans of Gryffindor. How do you feel about the Gryffindor / Slytherin rivalry? Which side are you on and why? What do you think of this first encounter… before the kids even sort into their respective Houses? Would love to hear your perspectives! We all know what’s beyond the Leaky Cauldron, don’t we? You tap the right brick, and it opens up to Diagon Alley, where Harry can purchase his Hogwarts school supplies. Speaking of school, I’m a little bit behind on posting because I’m taking a College Math class. I took my Midterm last week, and it appears that I haven’t posted since the day before my Midterm! I guess I’d better be getting on with it! So I’d like to focus on the one big glaring thing I missed on my first read of “Diagon Alley.” Can you guess what it was? It wasn’t the notion that appearances can be deceiving. When we see the item wrapped in grubby drab brown paper, that notion is so obvious that it’s hardly even subtext. After all, Hagrid is retrieving the item for Dumbledore, and it’s been kept for however long in a high security Gringott’s vault. Whatever is behind the grubby wrappings, it’s of high value – kind of like Harry. He may look like an ordinary kid, or even a rather shabby kid, but there’s something valuable beneath the appearances. A bit like transforming lead into gold, perhaps? The crazy Gringotts wild ride is a little more important to the big story than I ever would have known on first read, but it recurs only once. The big glaring thing I didn’t catch recurs repeatedly. It’s not that Draco Malfoy is a bit of a blood-prejudiced prat (and more than a little like Dudley Dursley). That is very nearly impossible to miss! It’s not that Hagrid builds on the House prejudices introduced by Draco. Not that Harry has an interest in finding out how to curse Dudley. Not that the wand that chooses Harry has a tailfeather from the same phoenix as You-Know-Who’s. Then they visited the Apothecary, which was fascinating enough to make up for its horrible smell, a mixture of bad eggs and rotted cabbages. Barrels of slimy stuff stood on the floor; jars of herbs, dried roots, and bright powders lined the walls; bundles of feathers, strings of fangs, and snarled claws hung from the ceiling. They entered Snape’s office, shivering. The shadowy walls were lined with shelves of large glass jars, in which floated all manner of revolting things Harry didn’t really want to know the name of at the moment. The fireplace was dark and empty. Snape closed the door and turned to look at them…. Harry and Ron stared at each other, white-faced. Harry didn’t feel hungry any more. He now felt extremely sick. 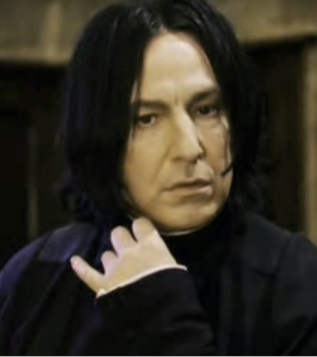 He tried not to look at a large, slimy something suspended in green liquid on a shelf behind Snape’s desk. It was a shadowy room lined with shelves bearing hundreds of glass jars in which floated slimy bits of animals and plants, suspended in variously colored potions. In a corner stood the cupboard full of ingredients that Snape had once accused Harry – not without reason – of robbing. 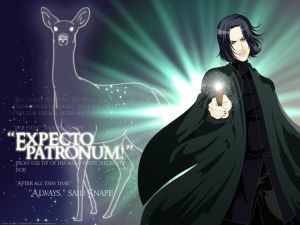 “Ah, Potter,” said Snape, when Harry had knocked on his door and entered the unpleasantly familiar office that Snape, despite teaching floors above now, had not vacated; it was as dimly lit as ever and the same slimy dead objects were suspended in colored potions all around the walls. When you see these descriptions, just remember – the first time Harry sees jars of slimy dead things in an Apothecary, he finds them fascinating. 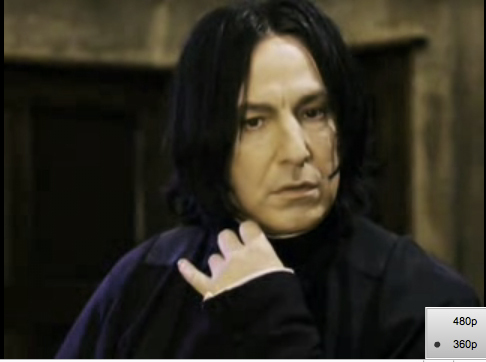 It’s his hatred of Snape that makes him regard them as horrible, repulsive, sickening, an implied indictment of the man’s character, when in fact the collection is not at all atypical for a professional Potioner. Anything glaring you missed on your first trip to Diagon Alley?